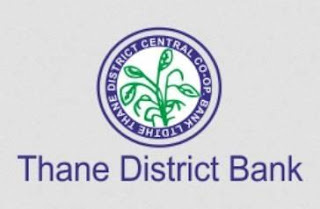 Thane District Central Co-Op Bank has released a notification for the recruitment of 205 Officers (JM), Senior Banking Assistants, Junior Banking Assistants and more. Interested candidates may check the eligibility criteria and apply online from 16-10-2017 to 30-10-2017. For Officer (JM): Candidates should have passed Graduation Degree in any stream with 60% marks or Commerce Degree with 55% marks or MS-CIT from a recognised university. For Senior Banking Assistant: Candidates should have passed Graduation Degree in any stream with 55% marks or Commerce Degree with 50% marks or MS-CIT from a recognised university. For Junior Banking Assistant: Candidates should have passed Graduation Degree in any stream or MS-CIT from a recognised university. Application Fee: All candidates have to pay according to the following details through SBI Bank Challan using Net-banking/Credit or Debit Card. How to Apply: Interested and eligible candidates may apply online through Thane DCC Bank website - http://thanedistrictbank.com/ - from 16-10-2017 to 30-10-2017.